Is Marijuana Bad for You? The risks of marijuana: weighing the pros and cons of marijuana both as a medical treatment and as a recreational substance. For years, government entities and mainstream health organizations have emphasized the risks of marijuana. 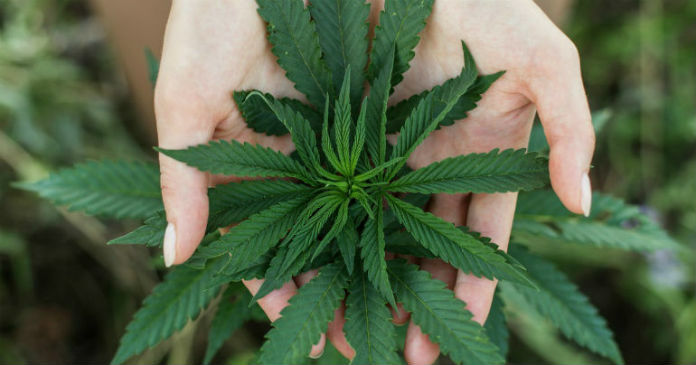 People who use it for medicinal purposes – and even many of those who use it recreationally – have traditionally held a different perspective on marijuana pros and cons, insisting that the positives far outweigh any potential negatives. What does the research say, however? Is marijuana bad for you, or is it a safe and harmless recreational/medical substance? “Is marijuana harmful?” is a rather general question. To answer it, it’s helpful to break the topic down into individual items of concern about marijuana use. Over the years, there has been much discussion about the potential for marijuana addiction, whether it can cause lung cancer and brain damage, as well as whether or not marijuana serves as a gateway drug to harder substances. Analyzing these topics individually and looking at what science says about marijuana is the most helpful way to answer the question of whether or not it’s harmful. One of the potential cons of marijuana and other medications/drugs is a concern about addiction. How does marijuana stack up to other substances: is addiction really a risk? Research shows that the potential for marijuana addiction may depend on frequency of use and other ongoing life factors. A 2010 study by Lopez-Quintero found that frequent marijuana users have a higher risk of developing a dependence than those who use it occasionally. They also found that among young adults who use marijuana frequently, current life problems played a large role in the development of dependence on cannabis. Most studies that look at the statistics regarding marijuana and addiction find that only around 9% of regular users will develop a problem with dependency – this compared to 32% of tobacco users, 23% of heroin users, 17% of those who use alcohol, and 15% of people who consume alcohol. Some doctors and medical organizations present lung cancer as one of the cons of medical cannabis, but is this really a concern? With the various ingestion methods available today, medical marijuana patients have many options beyond smoking marijuana: they can vaporize it, consume it as edibles, capsules, or oils, as well as apply it as a topical treatment. For those who do smoke marijuana, lung cancer studies have offered mix results. Some show that smoking marijuana on a long-term basis can increase the risk of lung cancer. Others have shown no increased risk of lung cancer with marijuana use. Another factor frequently cited among other marijuana health risks is its potential to be a gateway to other more addictive and dangerous substances. Scientists have delved into the “marijuana-as-a-gateway-drug” theory many times and have struggled to arrive at a firm conclusion. In their report entitled Reassessing the Marijuana Gateway Effect, one team of researchers found ample evidence to call the entire theory into doubt. While cannabis use often precedes the use of hard drugs, so does the use of nicotine and alcohol. It’s unclear whether there is a causal relationship between hard drugs and the other substances or if individual personality traits and social environments predispose certain people to use drugs and alcohol. One thing is clear, however: in many places, marijuana seems to be responsible for a drop in the use of addictive opioid medications. Studies have shown that in states with legal medical cannabis, opioid addiction has fallen by 25%. This suggests that marijuana may be effective as a step down from addictive drug use, rather than a gateway into it. Finally, with marijuana flower, edibles, and concentrates so readily available to inexperienced consumers at dispensaries in an ever-growing number of places, many are concerned about the potential of marijuana overdose. While over-consuming is a possibility, a deadly overdose is not one of the risks of marijuana. No deaths from marijuana overdose have ever been reported, and a 2015 report published in Scientific Reports placed the risk of death from marijuana far below the risk posed by legal substances such as diazepam (Valium), alcohol, and tobacco. There have been no reported deaths by weed overdose. Putting the debate about addiction, lung cancer, and progression to harder drugs aside, the most concerning marijuana health risks can be found among demographics who medical experts suggest should avoid cannabis altogether or consult a healthcare professional before using it. A bump in legalization in many places has young people asking, “Is marijuana bad for you?” For juveniles thinking of using it recreationally, the answer is a definite yes. Studies have shown that any potentially harmful effects of marijuana are particularly pronounced in younger people because their brains are still developing. In 2015, Jacobus and Tapert published Effects of Cannabis on the Adolescent Brain, an article that detailed the negative impact marijuana can have on teenagers’ neurocognitive performance, brain development, as well as their brain function. Studies such as this have led experts to recommend that young people abstain from marijuana use. People who have been diagnosed with or who have a predisposition to serious mental disorders should also be aware of how cannabis can create or worsen symptoms. Researchers have long suspected that there may be a link between cannabis and schizophrenia due to studies that have shown that marijuana can trigger psychotic symptoms in individuals with a predisposition to the disorder. Since marijuana can also trigger anxiety, those with anxiety disorder should also proceed with caution. One of the side effects of THC (tetrahydrocannabinol) is an increase in blood pressure and heart rate. While this may not be a risk for most healthy individuals, it could be problematic for those with heart disease. In fact, studies have shown that the risk of heart attack increases to 4.8 times higher than normal within the first hour after consuming marijuana. Combine that with studies that connect cannabis to a higher risk of stroke and it raises definite concerns about cannabis use among those with cardiovascular disease. Just as with alcohol and nicotine, pregnant women should stay away from marijuana. This is because cannabis use during pregnancy is connected to “adverse offspring outcomes” including children that exhibit ADHD symptoms, have a decrease in their cognitive function, and have deficits when it comes to learning and memory tasks. The “marijuana-as-a-gateway-drug” theory doesn’t hold up to research. Medical Marijuana: Helpful or Harmful? Because the potentially harmful effects of marijuana increase with heavy use, some of the people most concerned about side effects are those who use it as a medical treatment. This is because medical marijuana patients typically need to use the drug quite frequently in order to keep their symptoms under control. However, there are many health benefits to cannabis that make it a more attractive treatment option than many traditional medications. •ADHD: Although marijuana can act as a stimulant in most people’s brains, in those who exhibit symptoms of ADHD, it can help them better direct their focus and accomplish tasks. •Anxiety: While marijuana exacerbates anxiety in some, others find that it helps calm them down. This is particularly true of strains and products that contain high amounts of CBD (cannabidiol), which has been shown to quell anxiety with the same effectiveness as benzodiazepines. •Cancer: Marijuana hasn’t yet been proven to be a cure for cancer, but it is an excellent treatment for the nausea, vomiting, and weight loss often experienced by those undergoing cancer treatments. •Depression: Many people have also found marijuana to be an effective treatment for depression. This may be because the cannabinoids in marijuana work the same ways as the natural endocannabinoids in the brain – many of which stimulate “feel good” receptors in order to improve mood. •Glaucoma: While marijuana is not a recommended treatment for early stage glaucoma (due to concerns that it may lower blood pressure within the eye and create additional damage), it does work well in the late stages of the disease to lower eye pressure and control pain. •Pain: THC, CBD, and other cannabinoids in marijuana have anti-inflammatory properties and work well to control pain, whether it’s pain resulting from cancer, an injury, or a chronic condition such as multiple sclerosis or fibromyalgia. •Post Traumatic Stress Disorder: With a growing number of combat veterans reporting that marijuana helps relieve their PTSD symptoms, researchers have been looking into why. One review of studies into PTSD and cannabis found that it may work in multiple ways – preventing flashbacks, treating insomnia, and calming anxiety. Many people turn to cannabis for anxiety to avoid the unpleasant side effects of pharmaceutical medications. While medical marijuana has many benefits, patients who are researching different treatments often raise concerns about the potential cons of medical cannabis. Just as with smoking marijuana for recreational purposes, smoking medical cannabis may cause lung issues or even cancer. However, with the wide variety of ingestion methods available today, patients can consume marijuana by vaping it, ingesting it via edibles, or applying it in a topical solution – eliminating the need to inhale smoke. While one of the risks of marijuana is developing a dependence on it, studies show that it is often much less addictive than many prescription medications. Opioids (commonly prescribed for pain) or diazepam (which is frequently used for anxiety) have much higher rates of addiction, as well as a higher risk of causing an overdose. Some patients are hesitant to consume medical marijuana because they don’t want to feel intoxicated. While many pain and anxiety prescriptions don’t offer an alternative to feeling sleepy or foggy-headed, marijuana does. Choosing a strain with the proper CBD-to-THC ratio helps patients get the medicine they need while remaining clear-headed and sober. Patients may also consume THC via oils or capsules in order to cancel out or lessen a THC high. Marijuana is well-known for its ability to cause a euphoric high, slowed perception of time, and intensified auditory effects. Although the high caused from marijuana may be a desirable effect for recreational users, it can be problematic for medical users who need to drive, operate heavy machinery for work, or go about their day completely clear-headed. This effect can be mitigated through experimenting with different dosages and marijuana strains. Cannabinoid receptors aren’t only located in the brain, they’re also located in other parts of the body. This includes the mouth, and receptors stimulated when smoking cannabis can give users a case of dry mouth, commonly known as “cottonmouth.” Dentists have raised concerns that heavy use of marijuana could result in damage to gums and teeth due to its reduction in saliva production. People who smoke marijuana frequently are advised to drink plenty of water and avoid sweet/salty snacks to prevent their mouths from drying out even further. As mentioned above, people with a predisposition to anxiety must be cautious when using or choosing types of marijuana. This is because THC can cause an elevation in heart rate and blood pressure – two symptoms that also occur during an anxiety attack. For those with anxiety disorder, this (combined with marijuana’s propensity to cause paranoid thoughts) can be enough to precipitate a severe anxiety attack. Although anxiety attacks are harmless, this can lead to feeling extremely uncomfortable until the effects wear off. Marijuana impacts users’ ability to recall things in the short-term, as well as their ability to encode new memories while they’re high. As for the long-term, a study found that people who used marijuana daily for five years had somewhat lower verbal memory (the ability to recall words in a list), but it did not impact other aspects of their cognitive function. As with any substance, it’s important for people to think about marijuana pros and cons to decide if any negative effects of marijuana outweigh the rewards before using it recreationally or starting it as a medical treatment. Marijuana is beneficial for a variety of medical ailments and disorders. There has never been a recorded case of death as a direct result of marijuana overconsumption. With a variety of strains and ingestion methods, people can customize the way they ingest and experience marijuana. Marijuana has a much lower risk of addiction than alcohol, nicotine, and opioids. Smoking marijuana frequently may be damaging to the lungs. Marijuana may impair memory or affect the ability to focus. Consuming marijuana may cause or exacerbate anxiety. Marijuana remains illegal in many places, making using it risky. For decades, anti-drug organizations have warned about the bad effects of marijuana even as studies started to show its many benefits. This has led to a lot of questions about whether marijuana is really as dangerous as it’s long been represented. 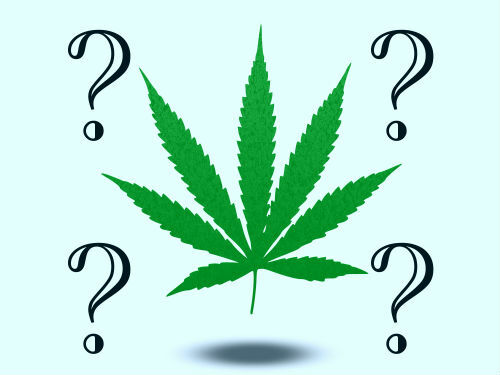 Here is a list of common questions about the harmful effects of marijuana. Is smoking weed bad for you? There simply isn’t one correct answer to this question. The risks of marijuana use depend on an individual’s current health conditions as well as their frequency of use. Most studies have not revealed major risks associated with moderate marijuana use by healthy adults. Is it bad to smoke weed every day? Heavy use of marijuana raises the potential of marijuana health risks, from lung irritation/damage to mental impairment. If a person is going to use marijuana daily, there are many ways to mitigate these effects; they could avoid smoking by vaporizing or combine CBD with THC to lessen the high. Is THC bad for you? THC has many different effects that may be considered positive for some people and negative in others. It causes a euphoric high and alters one’s perception, affecting their visual/auditory senses. It can heighten the sense of taste. THC can also cause anxiety, paranoia, and an increased heart rate. Any substance has the potential to be abused or have negative side effects. When it comes to the risks of marijuana, however, studies have failed to show that it is as addictive or dangerous as legal substances such as nicotine, alcohol, or prescription opioids. There are many pros and cons of smoking marijuana, but most of its dangerous effects apply to juveniles, those who are pregnant or who have health conditions such as mental illness or heart disease, or those who use it heavily on a long-term basis. Are there truly more marijuana health risks than benefits? Do Negative Effects of Marijuana Outweigh the Positives? The answer to this question can vary from one individual to the next. Just as with alcohol, recreational marijuana users must weigh the risks and rewards against their own personalities and health conditions. The difference between alcohol and marijuana, however, is that cannabis has been proven to have a variety of medical uses, making it much more than a recreational substance. This means that patients must also decide if any potentially harmful risks of marijuana outweigh the side effects and risks of other medical treatments. Looking at the facts, a few things are clear. 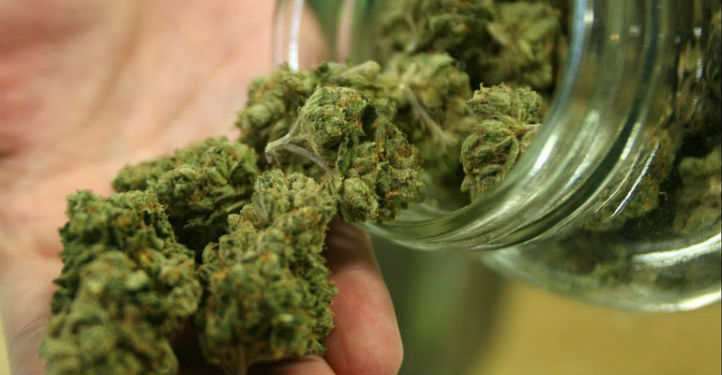 First, marijuana is not as damaging to the brain or lungs of adults as was initially thought. It’s much less addictive than other legal substances including nicotine, alcohol, and prescription painkillers. Finally, there is no evidence that marijuana serves as a gateway to more harmful drugs; in fact, the statistics show exactly the opposite. All of these facts should be taken into consideration when weighing the pros and cons of marijuana. Cannabis Health - A guide to the many benefits of marijuana, including medical and general health uses. Cannabis and ADHD - The science behind using marijuana for ADHD as well as CBD for ADHD. Cannabis and Anxiety - How marijuana affects anxiety, CBD and anxiety, and indica vs sativa for anxiety. Cannabis and Cancer - What research says about marijuana and cancer, including CBD for cancer. Cannabis and Depression - A guide to marijuana and depression, including CBD for depression. Cannabis and Glaucoma - A look into marijuana for glaucoma and CBD oil for glaucoma. Cannabis and Pain - A guide to marijuana for pain relief – from choosing strains to using CBD for pain. Cannabis and Pregnancy - An overview of what research says about the effects of consuming marijuana while pregnant. Cannabis and Seniors - A guide to cannabis & seniors, including the age-related conditions it can treat, and its potential social benefits. Cannabis and Working Out - The debate over working out while high and using marijuana after exercise. Cannabinoids - Exploration of cannabinoids, their effects, and their health benefits. Cannabis 101 - Information about cannabis life, culture, and consumption methods. Cannabis Types - A guide to the different types of marijuana: sativa, indica, hybrids, hemp, and ruderalis. Concentrates & Extracts - An exploration of cannabis concentrates & extracts from BHO and beyond.